If you’re looking to make the very best coleslaw recipe, this copycat Chick-fil-A Cole Slaw is made for you! You know when you go out to a BBQ joint or a mom and pops restaurant and your meal is served with that sad little cup of coleslaw? You didn’t ask for it. You’re not paying for it. And there is a really good chance it’s going to end up in the trash at the end of your meal. But the coleslaw from Chick-fil-A is different. It’s delicious. You need to order it as a side dish. It’s optional. You choose it and pay for it! Sadly, though, they made an announcement and as of this week it is no longer available. Fortunately, the kind people over at Chick-fil-A (seriously, no joke, they are so kind) have given the world their recipe. So I made, and loved it, and it tastes just like the original (well, I guess it IS the original). And thought I would share it with you in case you love coleslaw as much as I do! Here it is. in all it’s original glory. Well, kinda original. The recipe calls for two bags of shredded cabbage and 1/4 cup shredded carrots. I bought shredded coleslaw mix instead (1. my grocery store didn’t sell shredded cabbage and 2. I wasn’t about to hand shred…I mean, c’mon now). 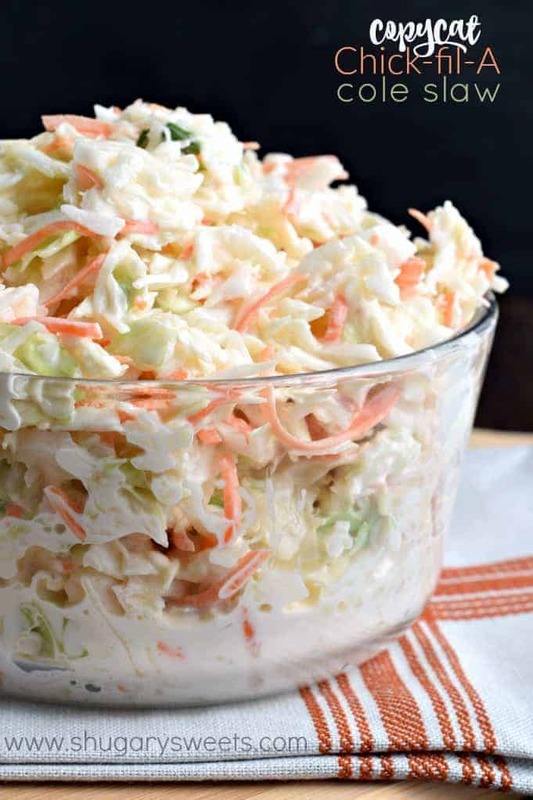 The flavor of this coleslaw is perfect. Not too sweet, not too vinegary…it’s JUST RIGHT. Try it. You’ll see. In a large mixing bowl, whisk together the mayo, vinegar, sugar, dry mustard, and salt until smooth. Add in shredded cole slaw mix and fold over with spatula until completely coated. Cover and refrigerate 2 hours, or overnight. 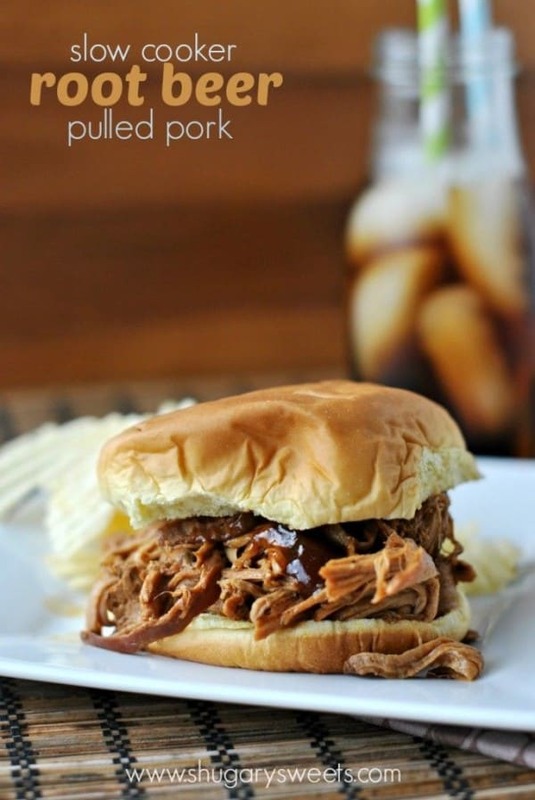 Root Beer Pulled Pork: all pork sandwiches should be served with a side of cole slaw! 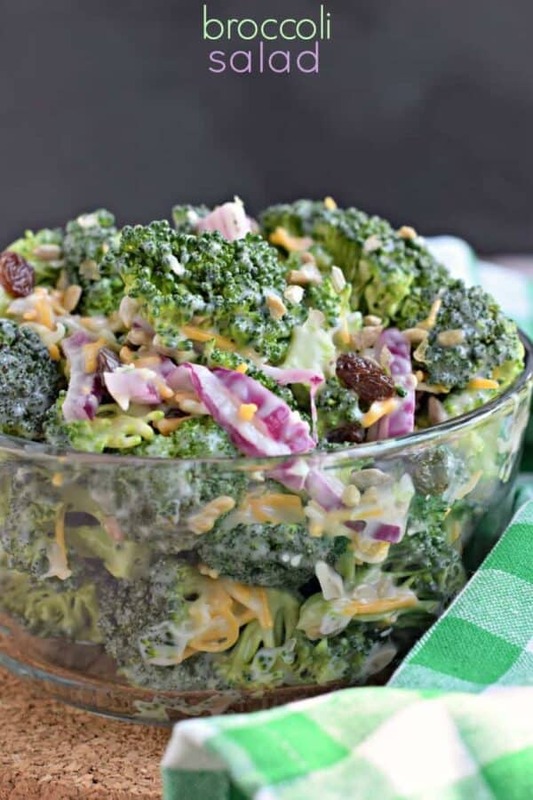 Broccoli Salad: one of my favorite potluck dishes! 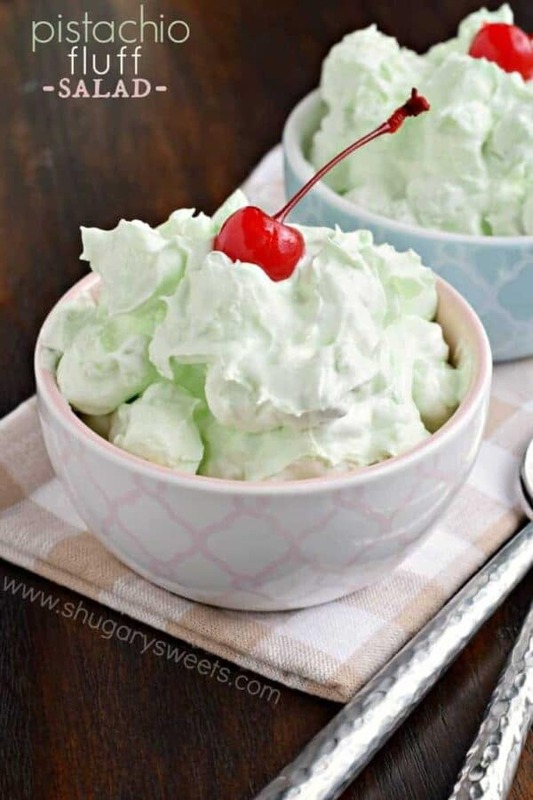 Pistachio Fluff Salad: the perfect sweet “salad” to go with your dinner! 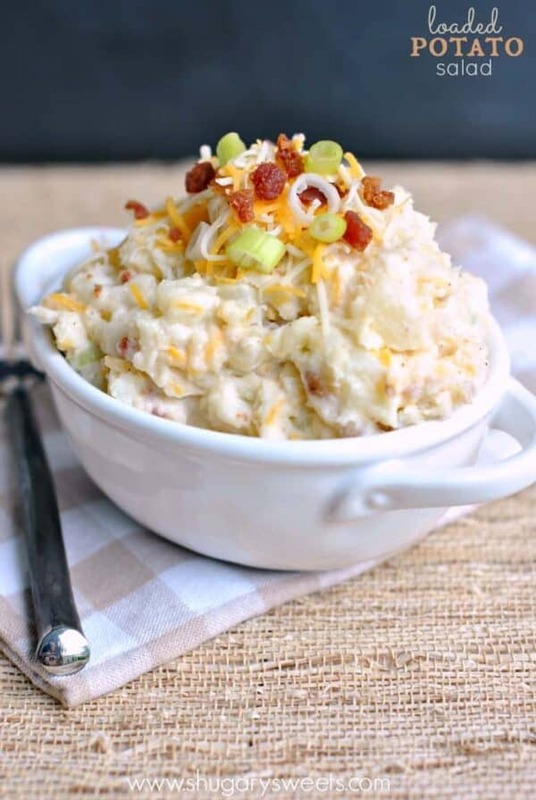 Loaded Potato Salad: looking for the perfect potato salad recipe? Here you go! This is fantastic! I love Chick-fil-a’s coleslaw! Oh I love that you got the recipe for us, Aimee. Thank you. Can’t wait to try. I didn’t realize they took it off the menu. The perfect side. Did they say why they took something so loved off the menu? Glad you got the recipe though! I love coleslaw with a barbeque sandwich! I know, it’s a crazy decision, but I’m thankful they shared the recipe 🙂 Thanks for pinning! They posted it on the actual Chick-fil-a website when they 86’d it. I’ve never had Chick-fil-A’s cole slaw, but now I want to try it! That’s sooo nice of them to share the recipe! I can’t wait to try this, I love their cole slaw! I can’t believe they handed over their recipe! I wish someone like Cinnabon would do that so we would all just finally know 🙂 This cole slaw looks awesome. I am a cole slaw fanatic! 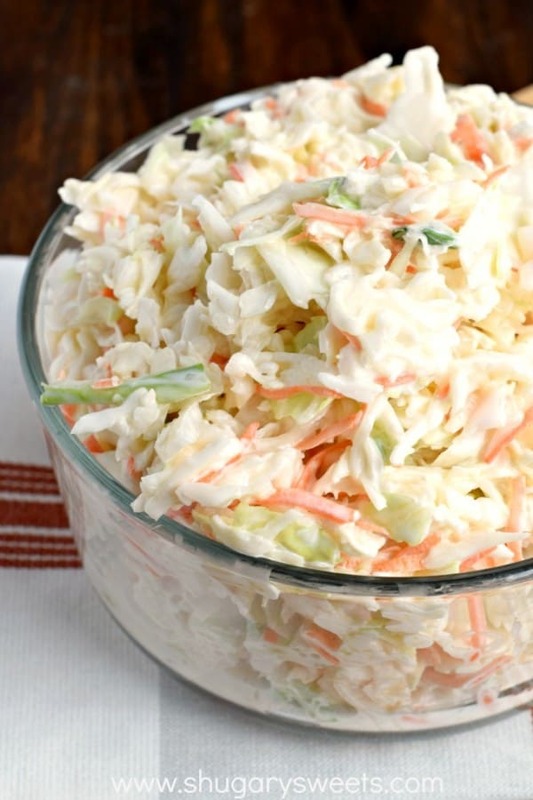 I’ve got to say that cole slaw is my favorite picnic side dish! This looks great! Love it. Thank you so very much sad they’re getting rid of it. What a shame. They better replace it with something out of this world amazing, or it will be very sad indeed, haha! I didn’t know they were getting rid of the cole slaw…how sad! But nice that they share the recipe. I make mine that way too, but minus the dry mustard. That must be the secret ingredient. And yes, those pre-shredded bags are the way to go! Chick-Fil-A is the nicest restaurant! Service is excellent and the staff is always so friendly and willing to accommodate, so I’m not surprised they gave out this recipe. Food is good, too! They’ve added a kale salad, so maybe that’s why they’ve taken away cole slaw. I’m not a kale lover, though. Thanks for this recipe. It’s a keeper. Sounds like my mom’s coleslaw except she added onions to hers but everything else is the same. So isn’t original with Chic Fil A. The onions make it awesome. This Cole Slaw was AWESOME!!! I love chick-fil-a’s coleslaw, and was so sad to see them discontinue it. I made this for a gathering and was very pleased with how it came out. It tasted wonderful!! This recipe is great. I did not use is powdered mustard I use ground mustard from my refrigerator. I also added cranberries, it was delicious. With cranberries, I loved it. Cranberries is a great addition!! 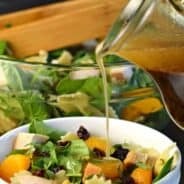 What are the ingredients in the “Cole slaw mix”? I can see cabbage and carrots, maybe some leeks… Any apple? I want to try this because I love coleslaw, but I have never seen any cole slaw mix here in Norway. Just shredded cabbage and a tiny bit of shredded carrot here. Do you have the portions for dressing? This is a dream-come-true ! I halved the recipe and used one 16 oz. bag and the dressing didn’t covered it enough so I had to make the other half of the dressing. Is good but I still prefer KFC. I followed this recipe as written (which I usually don’t do). I only had enough mayo to make a half recipe so thought I’d give it a go. OMGosh!! 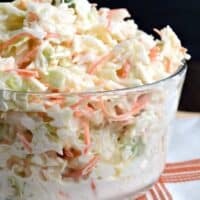 It was so tasty that I actually ran up to the store to buy more mayo to make another batch…I cannot say it is just like CFA coleslaw since I have never had any of their coleslaw but I can say it is the best coleslaw I’ve ever had…..thanks for sharing…. Good basic coleslaw, nice balance of mayo and vinegar, but I think the hyperbole is excessive. It’s just regular coleslaw. This was so good. I used 1/2 greek yogurt and 1/2 mayo to cut back on calories. Good recipe but I used raw apple vinegar instead of white and diced apple also. Definitely your chick fil a cole slaw is awesomeness! This is a great recipe Aimee, as you know I made it a short while ago and it was lovely, in fact have made it again since. Thanks for sharing! Thank you thank you thank you for this recipe!!!!! it’s the BEST coleslaw!! Oh man, this is the best ever! 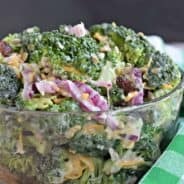 I am saving this recipe because my kids LOVE cole slaw! Thank you! 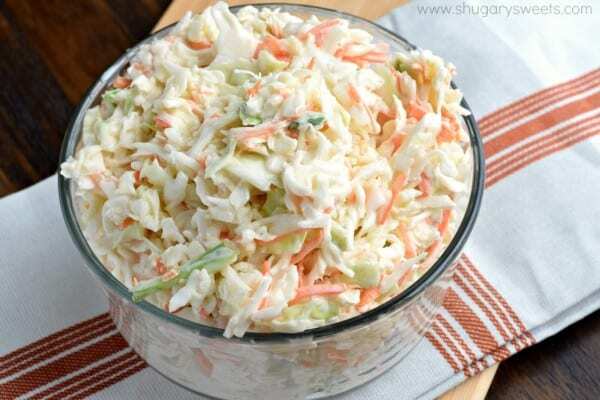 I love coleslaw!! It’c crunchy, tasty, & just the perfect side for so many dishes! Chick fil A’s is delicious, so I am glad I can make it at home! Yum their cole slaw is the best! Thanks for this recipe! Use Mayo either a touch of sour cream or milk – regular yellow mustard n apple cider vingar not white – salt – pepper touch of garlic granular – little sugar to balance the tart ñ sweet or make it tart no sugar. fresh grated carrot ñ fresh cut cabbage is better than the bag in my many many years of cooking ñ making coleslaw. Cover ñ chill. That chick fil a cole slaw is stunning. Will have to try this for my family. Thanks so much!